The D2W product range has been developed to degrade totally and harmlessly - even if improperly discarded as litter - to leave nothing more than water, carbon dioxide and a very small amount of biomass. The d2w Multi Purpose Degradable Bags - 4L - Pack of 50 product ethics are indicated below. To learn more about these product ethics and to see related products, follow the links below. I will be mainly using these bags for my bathroom pedal bin. They are a perfect size and also pleased to have found degradable bags. They are good quality too. Is this product suitable for desk bins - for light waste? 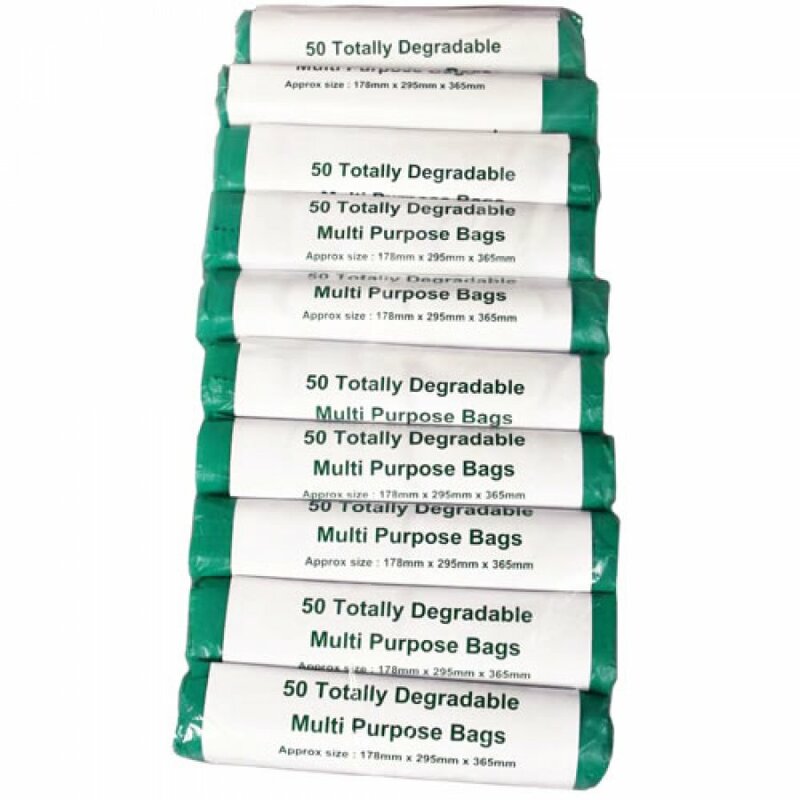 A: Hi, yes, these bags would be suitable for smaller desk bins carrying light waste. Robyn. 17 out of 18 found this question and answer helpful. Q: Are they usable as food bags?